Venture capitalist and Facebook board member Peter Thiel in an interview on Wednesday prognosticates the "age of Apple" is at its end, saying the evolution of the smartphone has reached a zenith. Thiel's bleak view of Apple's apparently imminent downfall was published in the popular New York Times segment "confirm or deny" by Maureen Dowd, a quick-fire Q&A session that asks headline makers to deliver hot takes on a variety of current topics. Asked whether the age of Apple is over, Thiel said, "Confirm. We know what a smartphone looks like and does. It's not the fault of Tim Cook, but it's not an area where there will be any more innovation." What Thiel appears to imply is that Apple's impact on society, its ability to facilitate change and its future is reliant on iPhone. In many ways Thiel is correct. Apple on Monday celebrated the 10th anniversary of iPhone's unveiling at Macworld 2007. The device that put the internet, an iPod and phone in your pocket changed how we viewed personal electronics, and would become the de facto standard for all smartphones within a few short years. Apple's ability to disrupt personal communications inevitably led to financial success, with iPhone soon accounting for a huge bulk of the company's revenues. Apple iPhone sales continued to grow for nearly ten years before seeing its first year-over-year contraction last April. Despite a slowdown in demand, Apple moved 51.2 million iPhones in the second fiscal quarter of 2016, enough to push revenues of $50.6 billion. In its most recent earnings call, the company reported shipping 45.5 million handsets, slightly beating analyst estimates. Aside from raw numbers, which appear to be stabilizing after last year's disappointing performance, some question Apple's ability to innovate in the smartphone space. Detractors say the most recent iPhone 7, while a marvel of technology, offers few differentiating features and sports a three-year-old design. That said, Apple is expected to shake things up in 2017 with a -- potentially limited production -- redesigned iPhone sporting an edge-to-edge OLED display, wireless charging and other exotic hardware. Still, many rumored features are already found on existing handsets, including those marketed by competitor Samsung. As for Thiel's Q&A session, other tidbits related to Apple include a rumor that he created the seating chart at Donald Trump's tech summit in December. Thiel denied. Ironically, Thiel, who serves as Trump's Silicon Valley evangelist, was seated between the President-elect and Apple CEO Tim Cook. And Apple has certainly shown that they can't compete in markets outside of their current ones. Look at...um...smartphones back when Apple was a Mac company. And what does Facebook have to offer other than a way for the FBI to know everything about (almost) everyone in the US? It's just an app, nothing more, so when people get tired of Facebook and the new greatest thing on earth comes along, I guess Thiel will simply look for another sugar-daddy to pad his wallet. Apple is and always will be more than a single product and Thiel should know that. "We know what a smartphone looks like and does"
Didn't Steve Balmer say that in 2007??? Whoever gets AI working seamlessly with humans and devices will be onto the next big wave. The problem is that I don't want companies to have competing systems. Consumers need standards not attempts to lock them in. Whoever gets AI interoperating will want to milk the cow though. 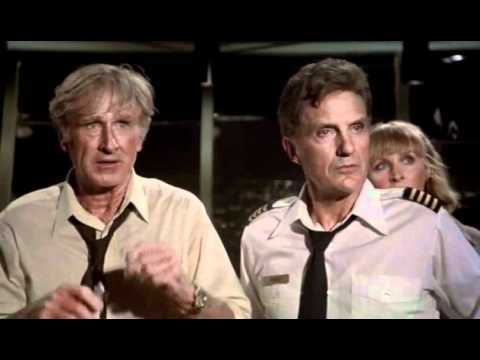 The logical control centre for controlling or limiting AI would be the phone or tablet. In a way, Apple is at a crossroads but more a 'roadmap crossroads' than a technological one. They could do better technologically but they have to decide where they are going first. You mean _iPods_ when they were a Mac company! And _smartphones_ when they were an iPod company! Apple is going to continue to do well. The Watch is maturing, AirPods are a huge hit, Apple Music is doing well, the AppleTV is finally coming into its own, etc. F that. It's the supercomputer in our pocket that will define the next 20years. What, specifically, is going to replace it? "smartphone has reached a zenith. ..." A man of very limited imagination if that is what he thinks. Or is he just pumping where his investments are . laughable. replace apple with Facebook and his statement would be more accurate. the reality is that companies are trying to anticipate apple's next move; they're reactionary, even 10 years after the first iPhone. no one has managed to overtake the iphone in terms of mindshare. age of apple is far from over. can't wait for DED to take this apart. Charles H. Duell- Commissioner of US patent office- 1899. I’ll put Thiel’s statement right up there with Steve Ballmer’s reaction to the iPhone, Michael Dell’s advice about what he would do if he were Apple’s CEO, and of course John C Dvorak’s treatise on the usefulness of the mouse for controlling a computer. We know what a Mac looks like and does, circa 1985. No more innovation, right? This is the age of Apple? I thought this was the age of Google since they have like 75-80% market share in mobile, or the age of Facebook since they have like a trillion users. 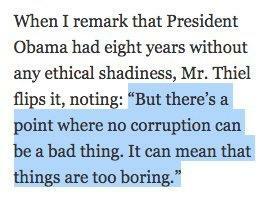 Either Thiel is upset because Apple is stealing all the talent, or he is sniffing glue again. Sure, I've seen so little innovation since my 5S, I don't need to get a 7. Except for the better processor (we can give Apple credit for the processor, Mr T), camera that takes a tiny little movie before and after the photo, waterproof-ness, better-color screen, force touch screen, secure enclave for Apple Pay which somehow works at all the stores where I shop, there really has been no innovation in the last couple years. Naturally I would expect the next couple years to be the same, so, there's no reason not to get an iPhone 7 except for the minor detail that the 5S is still working just great. BTW, love that little Buzz Feed News app, Mr. T.
It seems it is Thiel, not Apple that has reached the zienth of their respective relevance. His political philosophies and ties to the incoming administration will make him a pariah.